Bonhoeffer Quotes | The Happy Wonderer ~ ellen b. 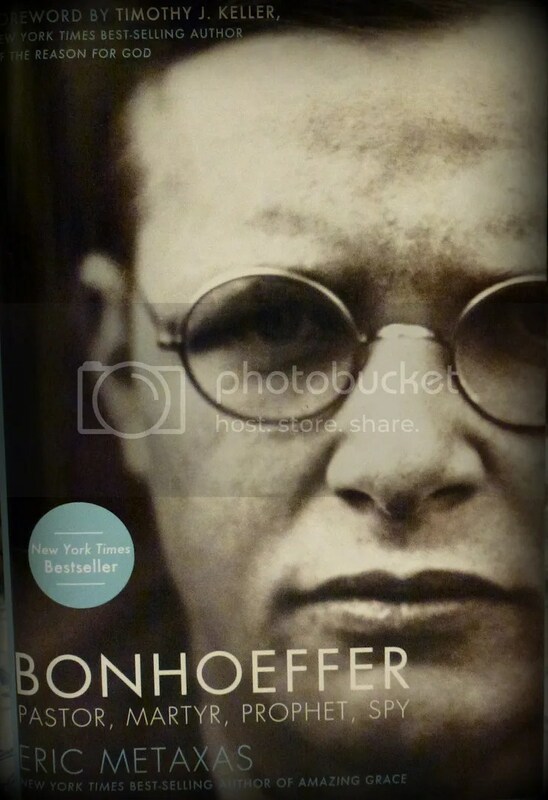 Posted on March 1, 2013 by Ellen •	This entry was posted in Books and tagged Biography, Bonhoeffer, Eric Metaxas, Friday's Fave Five, Germany, Naziism, Quotes, Spring, theology, World War II. Bookmark the permalink. I got that book at the library after you first shared about it. I have always loved him but this is indeed a deep read. Beautiful flowers to leave us with. Spring….it may come sooner than we think but the 27 inches of snow right now has me feeling like it is far off. Joyful weekend to you! Inspiring quotes. I’m sure you’d difficulty trying to limit to five among so many good ones. Allow me to link this post on my Bonhoeffer Read-Along Page. I want to read that book. The first quote has been much on my mind. I think I need to read the book. Great quotes! Such thought provoking quotes Ellen!! Bonhoeffer is studied by many theological students at the college where I work! What a great “book report”. It really does look like Spring is happening in your neck of the wood!! Ellen – I so enjoyed listening to your interview yesterday and how you told about feeding the homeless in your city! You gals are all so amazing and “uniquely tailored” as Lovella said! Have a wonderful weekend (hope the Sounders win). Powerful quotes, Ellen! Thanks for sharing! Have a lovely weekend. I have that same book about Bonhoeffer. I started it but got sidetracked. I do want to finish it for I greatly admire him and love how he thinks. It sounds like a fun family time coming up for you. Enjoy! Bonhoeffer is a favorite of mine. Thanks for sharing those quotes. Bonhoeffer has always challenged me. He was definitely a man for his time. Have heard many quotes from this theologian. That sounds like a must read and how inspirational to know his history and his commitment to God. I thought the book might be interesting before, and now I know I want to read it. Love the quotes, especially 3 and 4. And I’m thinking my pastor son would love it, too. Enjoy your trip and seeing your kids. Have a great week ahead! I started the book about a year ago and then tucked it away as things got busy with the book. Maybe it is time to pull it out again. Thanks for that challenge. ah..I’ll have to go check on my bush to see if there are any blooms yet. I have wanted to read that book, but have hesitated because of it’s size. That is one huge read. But now you’ve motivated me again. Maybe I’ll just have to bite the bullet and purchase it so I can take my time with it and not have to worry about due dates. I’ve heard great things about that book, and these quotes reinforce those accolades. A man with such deep spiritual conviction during a very difficult time! I hope that we will be able to stand up under testing when it comes… but we must be willing to speak, right? Not to say something is wrong too. I thought of Adam in the garden. I read Bonhoeffer years ago, its heavy reading- I think it took me about 6 months to read his book a little at a time so I could digest little pieces. 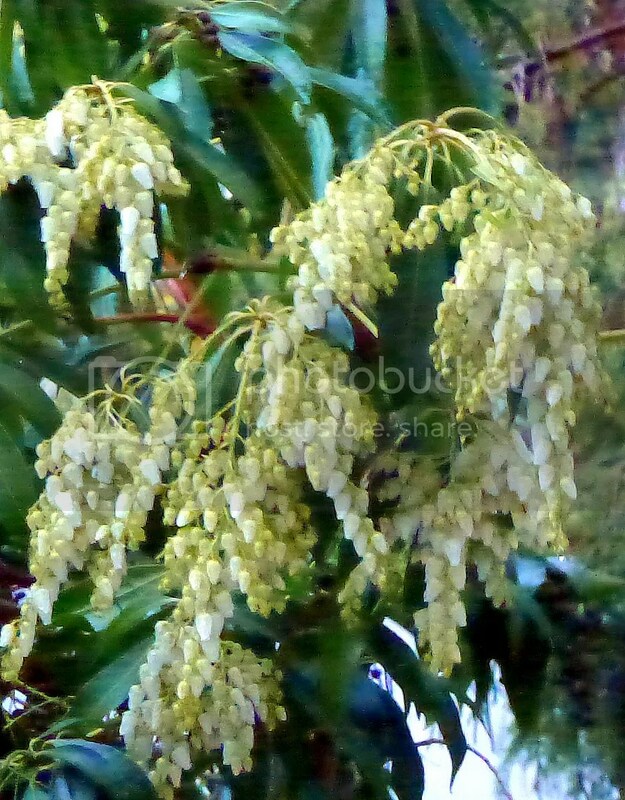 Bet that pieris is fragrant! I’m reading this book along with Arti as well and I LOVE all these quotes! It is so beautifully told! Cheers!